As most of y'all know, my youngest son Ronny, is autistic. He is now 12 and loves watching Youtube videos. One of his favorite things to watch on Youtube is the song "Pen, Pineapple, Apple, Pen" or the "PPAP" song. One day, he decided he was going to sing it so I recorded it and he would love if everyone would watch it and share it. He is very proud and if you know anything about autism, you know him doing something like this is a huge step. Thank you and enjoy. You can find the video here and be sure to follow our Youtube channel to see other fun videos of life on the farm and baby farm animals. Be sure to check out my other posts on Autism. Raspberries are so yummy and naturally sweet. Raspberries not only taste great but they have a lot of nutrition in them too. They are high in fiber and rich in copper and manganese, as well as, Vitamin C, A & K.
They are a refreshing snack and go well in so many things. 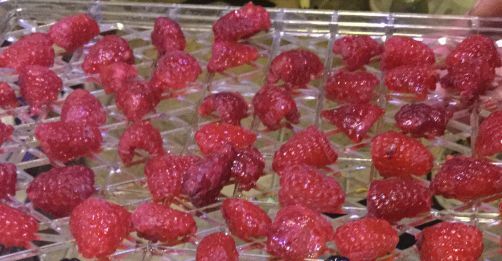 But raspberries also go "bad" really fast so to be able to enjoy them longer, we dehydrate them. It is super easy to do. To dehydrate raspberries, just wash them thoroughly with cool water. Then lay them out on your dehydrator trays. Now spray or spritz your raspberries very lightly with lemon juice. This helps them maintain their color and not brown. Set your dehydrator to 135 degrees and dehydrate 12-14 hours. I just turn my dehydrator on shortly before bed and then check them the next morning after breakfast and they are generally done. Once completely dry, they will be light and "crunchy". They appear lighter in color but are still perfectly safe to eat. I store mine in a glass jar or canning jar in a cool, dry place. I have kept them like this for over a year without any problems. To use dried raspberries, eat straight from the jar as a healthy snack or add some to your cold cereal or oatmeal for a fruity crunchy snack. It also goes well in homemade trail mix. Or you can use them in any baked good you want. Just use them as you would fresh raspberries. You can also grind the berries down into a powder and use it in milk to flavor it or sprinkle it on ice cream or as a pretty dusting on cakes to decorate (and add flavor) to them. I also dehydrate blackberries & apples. 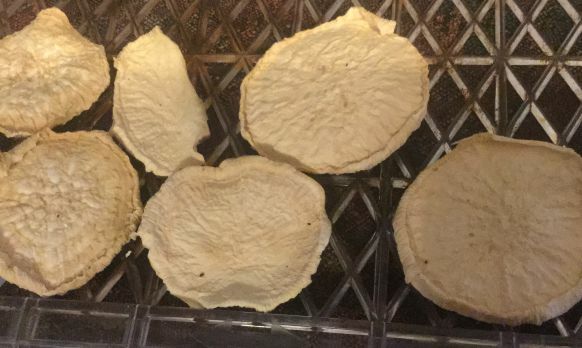 Pears are super simple to dehydrate. First wash the pear really good in cold water. If there is a lot of dirt or stuff on them, gently use a scrubber on the skin but be sure not to damage the skin or fruit. You can peel the fruit or leave them unpeeled. 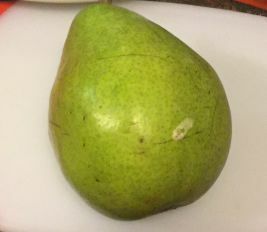 The peel adds extra fiber but with an autistic son, sometimes that extra texture is unappealing to him so I generally go ahead and peel the fruit. 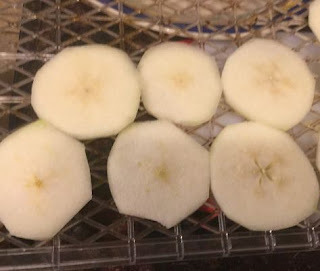 You can slice the pear as I did in the picture below or cut the pear in quarters. Either way works well. 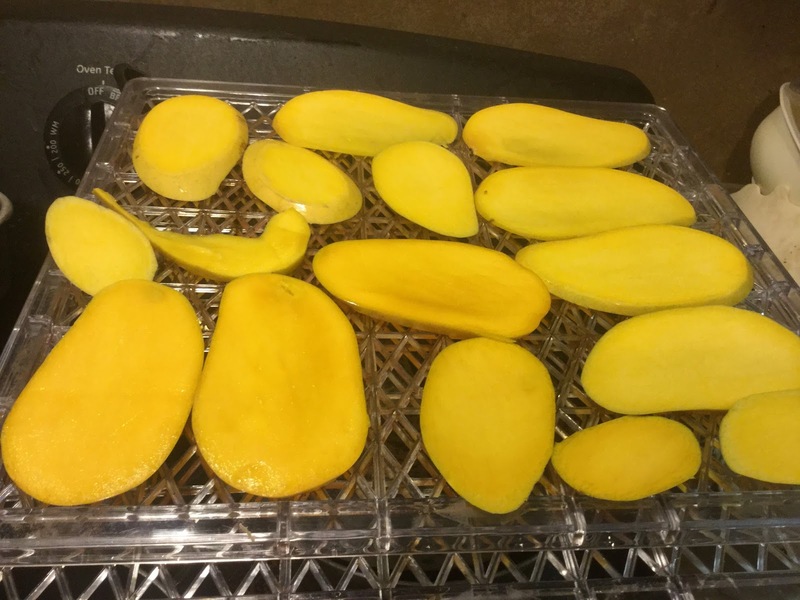 Lay the fruit out on your dehydrator trays. 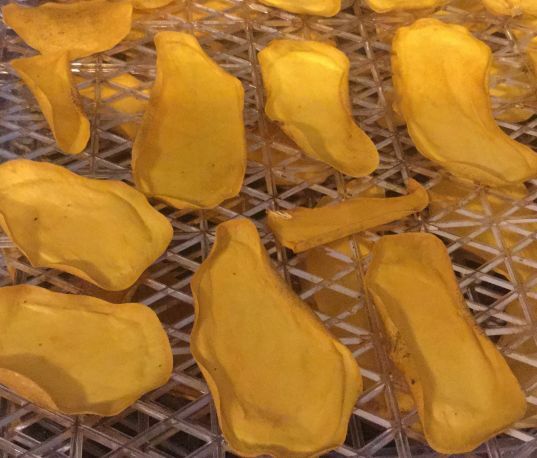 Set your dehydrator to 135 degrees and dehydrate the pears for about 8-10 hours. I just put them on right before I go to bed and they are done by the time I get up the next morning. When done, they should be stiff but still pliable. They should NOT be sticky. Store in a sealed canning or glass jar. They should be good this way for a year. We love to snack on these. They are nice and sweet and taste almost like candy. My boys love to eat them this way and I don't have to feel bad about them eating some each day. We also like to throw a few slices into their cereal or oatmeal. We also like to dehydrate Kiwis, Cantaloupe, and Strawberries. 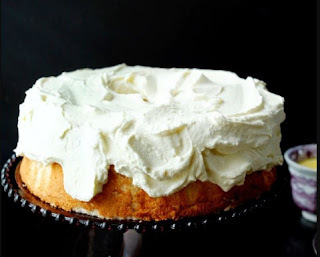 Check out these quick and easy ways to whip up your angel food cake frosting. It’s fun and easy. With these 5 easy recipes, unleash the pastry chef in you. Chocolatey perfection to the core. Indulge in every delicious bite. There are a lot of ways on how to make angel food cake frosting. This is one of the easiest. Just mix all ingredients and set them in the fridge for around an hour. Next, beat till it’s thick and then spread it on your angel food cake. 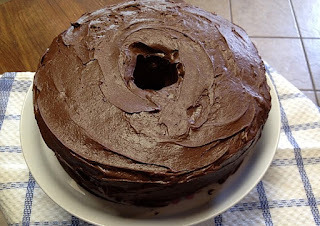 Be sure to cover the center area of the cake well through the sides. Use a serrated knife to slice well. 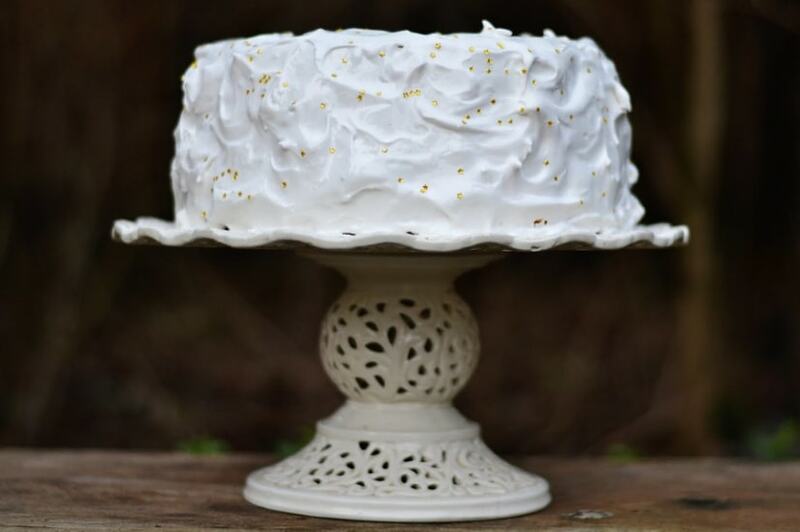 Perfectly frosted cake that you and your family can fully enjoy. Mix the cornstarch, salt, and sugar in one saucepan. Then, stir in milk. Cook over low heat till it starts to boil. Cook for around 1 minute. Next, remove from heat. Meanwhile, beat the egg in a bowl slightly. Pour half of the saucepan mixture into the egg mixture. Then, pour the bowl mixture back right into the saucepan. Then, boil it. Stir in butter, vanilla, and then crushed pineapple. Dissolve the envelope of gelatin into ¼ cup of water. Add this to the saucepan mixture. Set it in the fridge until partially set (approximately 1 hour). 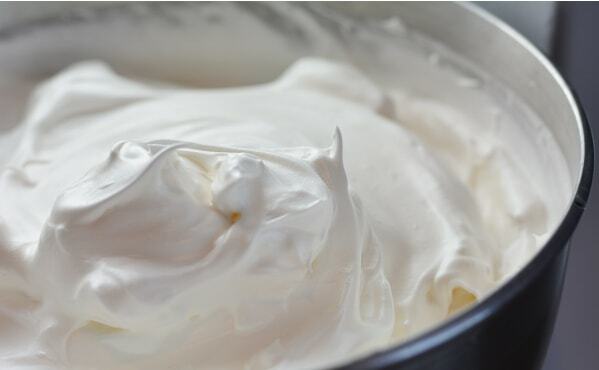 Stir in Cool Whip. 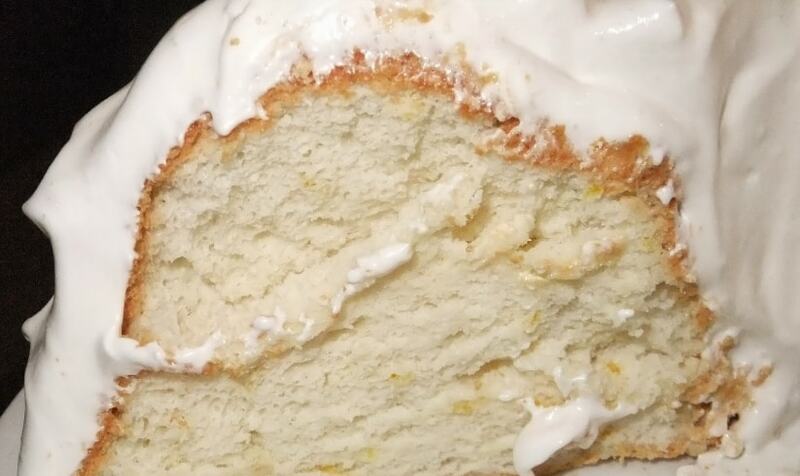 Make sure to cut the angel food cake sideways and apply around ½ inch frosting in the middle. Frost the cake and enjoy! 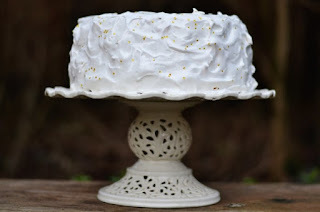 Pineapple dashed cake delight-- a perfect dessert for special occasions. Mix the pudding and pineapple together. Then, fold in Cool Whip. Sprinkle coconut over the top of the cake. 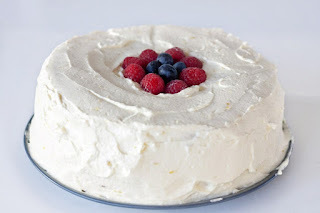 This is one of the easiest ways on how to make angel food cake frosting. 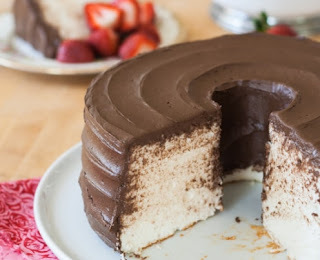 Perfectly coated angel food cake made with high-quality ingredients and easy procedure. Cool the cake before frosting it. After cooling it, cut the cake into 2 layers. Chill the beaters and the bowl prior to whipping 2.5 pints of whipping cream. Beat this until stiff. Then, return it to the fridge. Beat 2 cups of cold milk and 2 small boxes of instant French vanilla pudding until it becomes creamy. Beat until it’s enough to fold it into whipping cream. Fold the pudding into the whipping cream all at once. 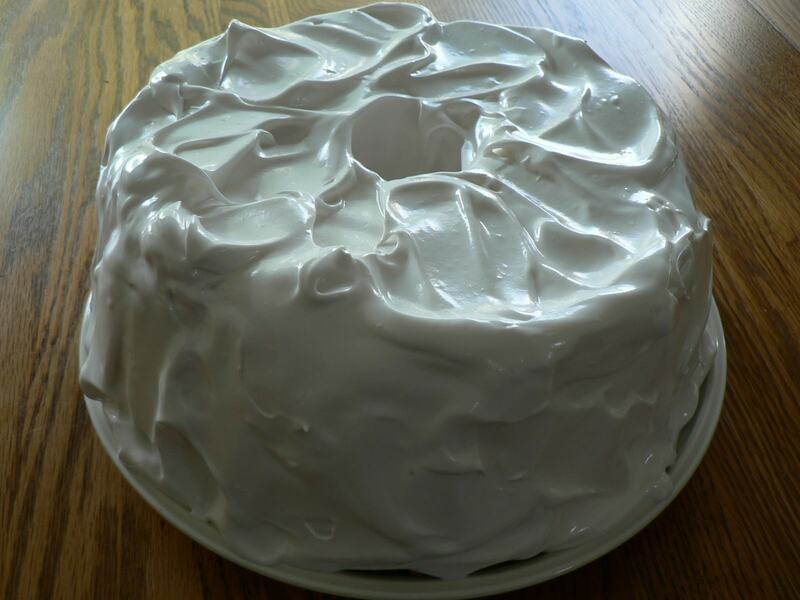 Frost the cake immediately since frosting tends to set real quick. Store your cake in the fridge. Add your favorite fruit, ideally strawberries, before serving. Angel food cake covered with chocolatey goodness that you can enjoy at every chocolatey bite. Melt and then cool a big Hershey bar. Fold the chocolate into two cups of whipped cream. Either bought or homemade, ready your angel food cake. Put around an inch on the bottom layer. Balance right on the sides and on the top. Let is sit on the fridge for at least an hour before serving the delicious slices to your beloved guests. 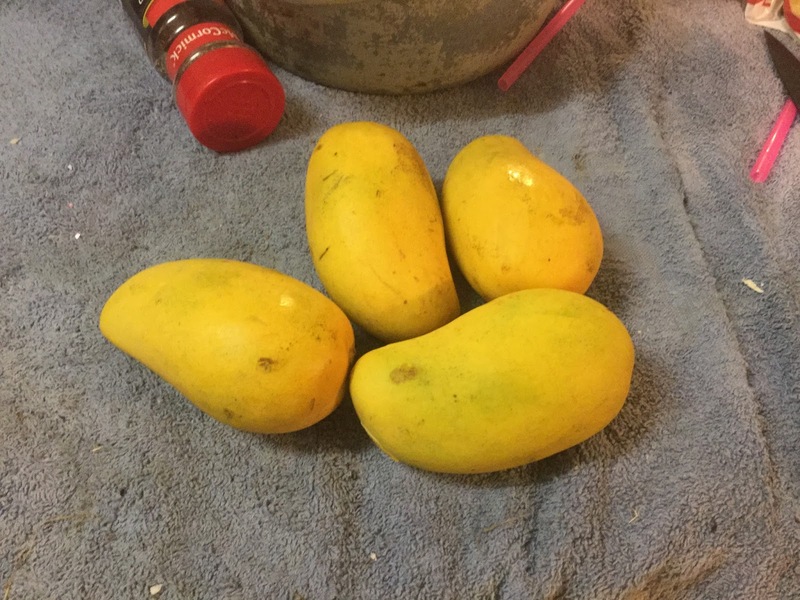 There are several different varieties of mangoes but one of my favorites is the Honey Mango (or as some people call them, Ataulfo Mangoes). The Honey Mango is in a class all its own in my opinion. It has a great flavor and has a string-less flesh. The honey mango has a very sweet and creamy taste. It is almost a buttery taste and very robust. Basically, it's just super yummy! :-) Dehydrated mango is great as a snack or use it in trail mix. It is also great in salads or in a chutney. To dehydrate it, wash well and then peel the mango. Slice. I slice them like shown and sometimes I just cut it into chunks. I find they dehydrate better like this though. Place on your dehydrator trays and dehydrate at 135 degrees for 12-14 hours. Store in sealed mason jars. I also dehydrate limes and mix up Chicken and Rice Soup Mix-in-a-jar.